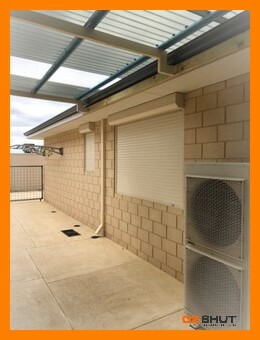 I just wanted to thank you for the service you provided and express my happiness in our new roller shutters! We had the entire “deadside” of our house done. They look fabulous, have provided a huge peace of mind for both myself and children, as well as blocking out the morning sun and neighbouring sounds. We will definitely have OzShut back to do the front of our house very soon.